Beeston Free is a vibrant and diverse church family made up of many different people from many different places. We love the fact that Beeston brings people together from all around the globe and want to help those who visit to feel at home here too. 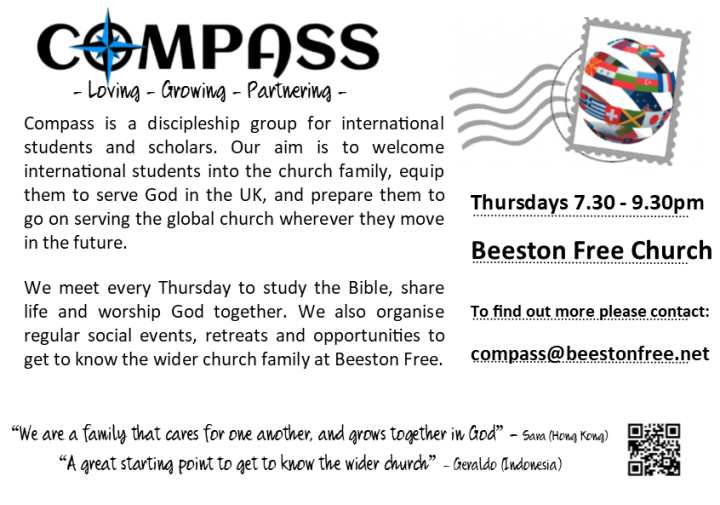 We realise that moving to a new country and city can be difficult and are eager to support you as adjust to live in the UK. We also want provide opportunities for all who come here to meet Christians, discuss beliefs, and explore what the Bible teaches. 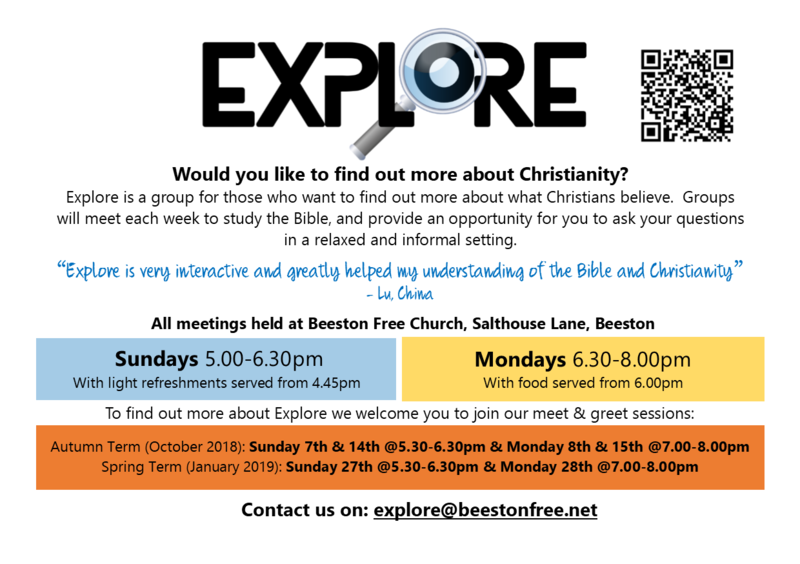 If you are already a Christian we’d love to support you spiritually during your time in Beeston. We are committed to loving, discipling and partnering with you in the gospel. Our prayer is to equip you to serve the global church both now in the UK, and in the future elsewhere. Keep reading to find out more about what is going on, and about how to get involved. If you have any questions contact John (via the church office) and he will let you know how to get involved. An informal café where you can enjoy fun activities and discussion with local Christians. A great place to make new friends, practice English and share cultures. A friendly place where you can make friends, practice speaking English, enjoy activities and learn about other cultures. We welcome women from any faith and culture, and their children.